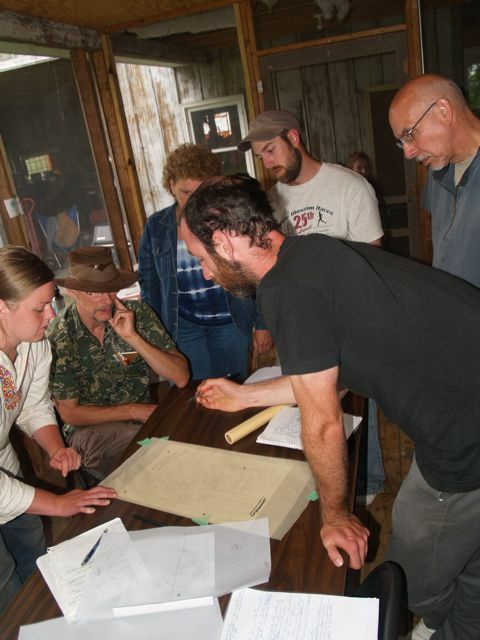 We kicked off the morning outlining Crazy Rooster’s Permaculture goals so the class would be set off in the right direction as they begin their design work. 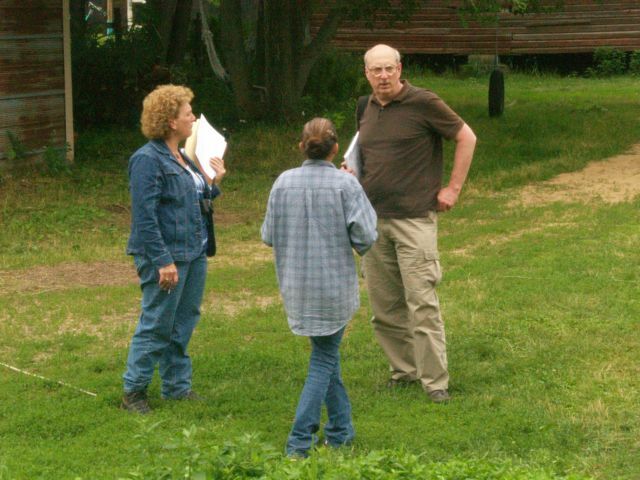 Then the class divided into groups and set off around the farm to practice the first Permaculture design principle: Observation and connection. Using the Permaculture Scale of Permanence as a guideline, the students divided into the following categories and came back to report their findings to the group: Climate; land forms; water systems; access and circulation; vegetation; micro-climates; built environment; zones of use; soil; and aesthetics. In addition, the class added another category — fun — as a way to build in a nurturing, social aspect to the farm. The Crazy Rooster Permaculture students worked cooperatively in small teams throughout the day and evening developing a comprehensive plan for Zone I and II. We were lucky to have an architect and landscape designer — as well as lots of other smart people on the team. Each member brought a true gift to the design process. The design charrette work continued well into the night and ended with homemade strawberry shortcake. Tomorrow, the presentation!